Make the most of the Chartreuse to celebrate your birthday. Our rooms and cellars that can be configured in a variety of ways make our site the ideal venue for perfect parties. The domain can seat 190 people in the Renaissance Lounges, 190 people in the Medieval Cellars, and marquees can be added outdoors for a total capacity of 700 people. And to host your reception in a really crazy atmosphere, use the Medieval Cellars to hit the dance floor and make your birthday an unforgettable moment for both you and your guests. Celebrate your bar-mitzvah at the Chartreuse. Thanks to hire of its modular rooms, the Chartreuse de Pomier is the ideal venue to celebrate a Bar-mitzvah or Bat-mitzvah in Haute-Savoie, a stone’s throw from Annecy and Geneva. With its large hosting capacity and rooms available for private hire, parents will celebrate their children’s Bar Mitzvah in the perfect reception venue. Communions and christenings are private receptions. For your religious celebrations, why not choose the many advantages of the Chartreuse to host a reception indoors and outdoors. Privatizing areas for children is easy: we can provide a bouncy castle, clown entertainment, puppet show, to name but a few of the possibilities. Please believe us, the kids will have a fine time! And so will their parents! They can enjoy a concert, a Murder party or sip a sundowner while admiring the fabulous view over the Geneva valley. There’s nothing like a wedding in the midst of nature in an authentic and prestigious setting. 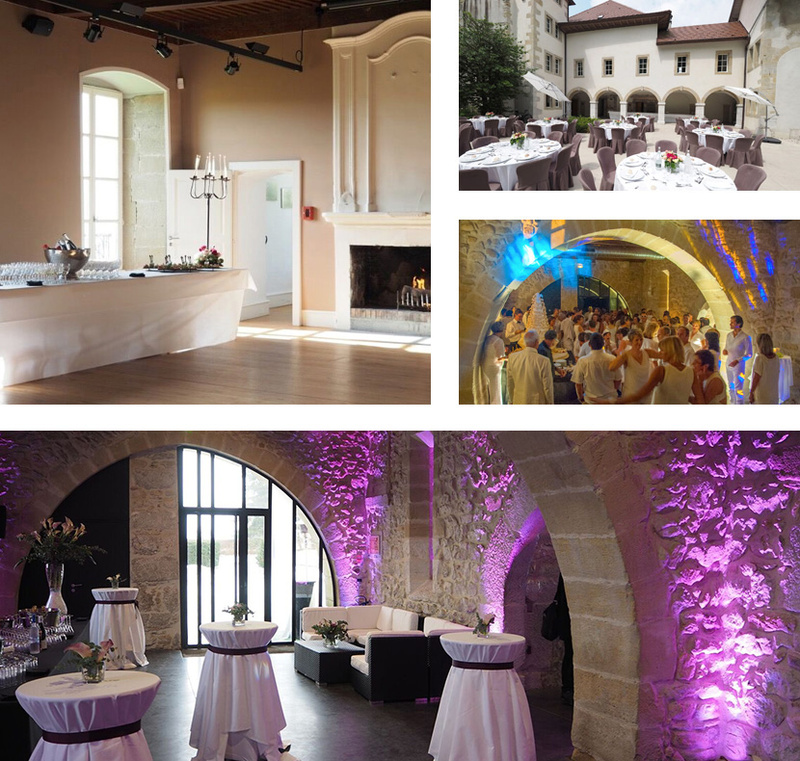 As everything is possible in the Domaine de la Chartreuse, we can organize your private reception to cater to your every wish and make your wedding the most wonderful day of your life. Opt for a peaceful venue a stone’s throw from Annecy and Geneva to ensure all your events and private receptions are an unqualified success.